Sultans of Swing from Dire Straits’ first album is surely one of THE songs that comes to mind when talking about fingerstyle guitar playing. 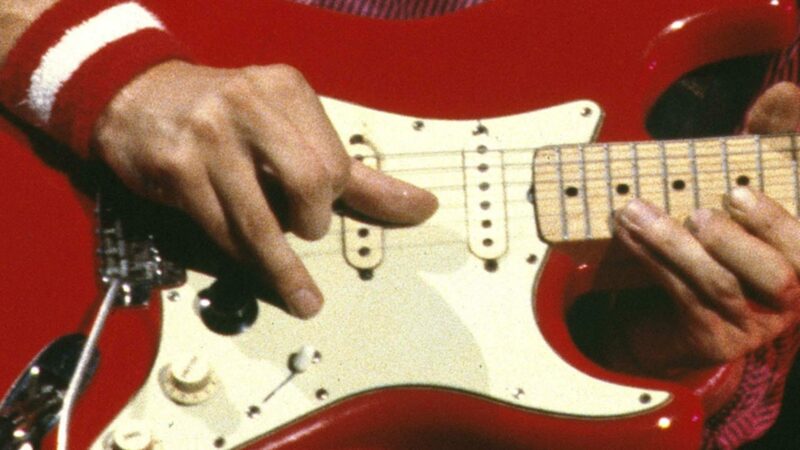 In addition to Mark Knopfler’s unique playing style it also features some striking Spanish-sounding elements, starting from the chord progression itself to some flamenco-like strumming techniques – which is this blog article, or rather the embedded video, is about. The typical flamenco stroke is called Rasgueado (the Spanish word for strumming) – a particular “roll” of your right hand fingers. I am really no master of the true flamenco style but I realized many years ago that Knopfler plays something like this in numerous songs, and practised something that sounds similar – my version of the Rasgueado. I can do it in two different ways: pinky first to index finger, or vice versa. Both sound different but I am not completetly sure which one Knopfler makes use of (possibly both). The video explains how I play it. I think the idea becomes clear. So, enjoy! PS: The rasgueado sounds great with distorted power chords, too. Give it a try! Hi Ingo! Sorry for the change of subject: would it be possible an explanation of Praire Wedding main riff? Please. Thank you. Absoutely love this song. My mum got me into Dire Straights, was one of the first records she played me. This is a really good tutorial mate, i didn’t know it’d be so easy to play the song. Fantastic playing; your attention to detail is amazing. Could you tell me about the guitar you are playing in this video? Hi Ingo, performing Sultans of Swing I always played the rasgueado technique exactly as you explained on your video. Nevertheless I always felt that something was wrong with it, because I’ve never heard the same sound that MK produces coming from my strings. Same feeling affects your execution. So far I wondered why but I might have the answer now that I saw a video from the last tour (Pantages Theatre, 17th april 2010). You can easily found it on youtube. The big screen behind the band shows the images coming from the small camera on MK’s guitar palette, during the final bits of SoS. Check from 7:09. He’s not using his nails downward! He’s using his fingertips upwards, then he couples the stroke downward with the thumb. It’s a different kind of rasgueado technique I think, sort of a customization. I tried to play that way, well I think that’s the key! It sounds exactly as MK plays it, even if I’m not totally confident with this technique yet 🙂 What do you think? There is another one on Sultans, just browse my youtube channel. I don’t have any tabs, sorry, I never use them. oh, and for Eastbound train, only riff 🙂 on Your’s video it isn’t shown very good, i can’t see from this how to play it. Hello Ingo. I like so much sultans of swing. I live in Ecuador. I want to know. If you can give me class for cam or skype. O r you have a class DVD for sale.